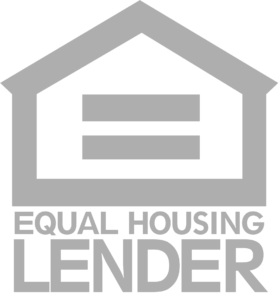 Any information which you submit will be securely used to fulfill your requests, answer your questions, and should you wish, progress you through the stages of a Home Equity Conversion Mortgage. Data We Acquire – The only personal information which is collected is volunteered by the consumer. This information is exclusively available to the Senior Security Advisors team, and it will never be sold or shared to another company. Use of Data – We only use the information that is required to provide you the service requested. In certain cases, we may ask if you’d like to volunteer to provide a testimonial, in which we would only display the information you’re comfortable with, such as your name, city and type of loan. If you feel you have received an unwarranted email from us, or have decided you no longer wish to continue receiving our emails, simply click the “Unsubscribe” link included in each message. All emails received from our consumers and business partners are kept private and secure. These messages will never be shared with those outside of Senior Security Advisors without your clear permission, unless required to by law. Questions – We’re happy to review this policy in its entirety with you, touching on any concerns you may have. We take pride in our policy and feel it represents the ethical and moral standards required to stay in the forefront of our industry. Senior Security Advisors is a lending area of United Northern Mortgage Bankers, Ltd., one of the oldest and most respected lending institutions in the United States. Email all questions to: info@unitednorthern.com, or give us a call at 1-888-639-4950.